Caption slip reads: "Photographer: Olmo. Date: 1954-04-17. Reporter: Adler. Assignment: Apartment fire. 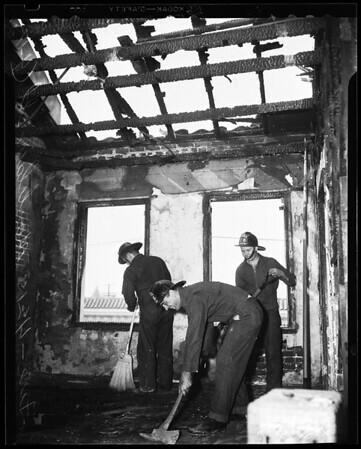 27/28: Firemen cleaning up burned out apartment at 4215 Montclair Street".